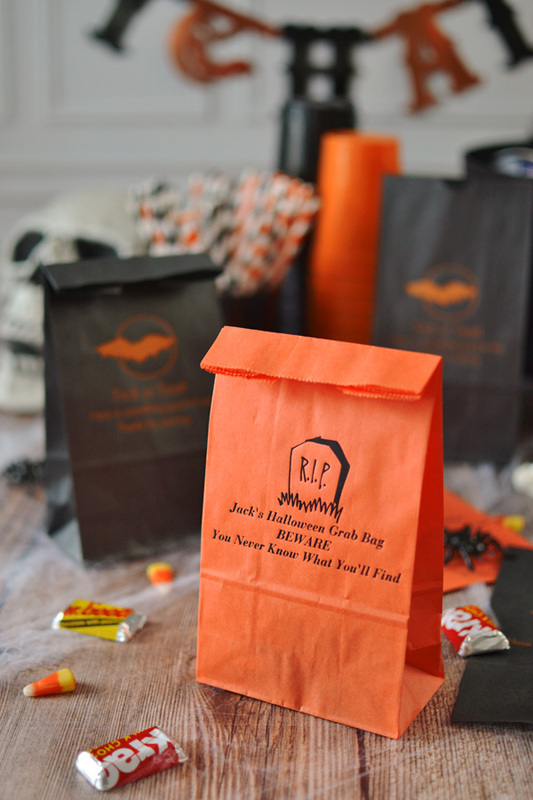 Custom printed Halloween paper treat bags are the perfect little souvenir to give guests at your spooky Halloween birthday or costume party. 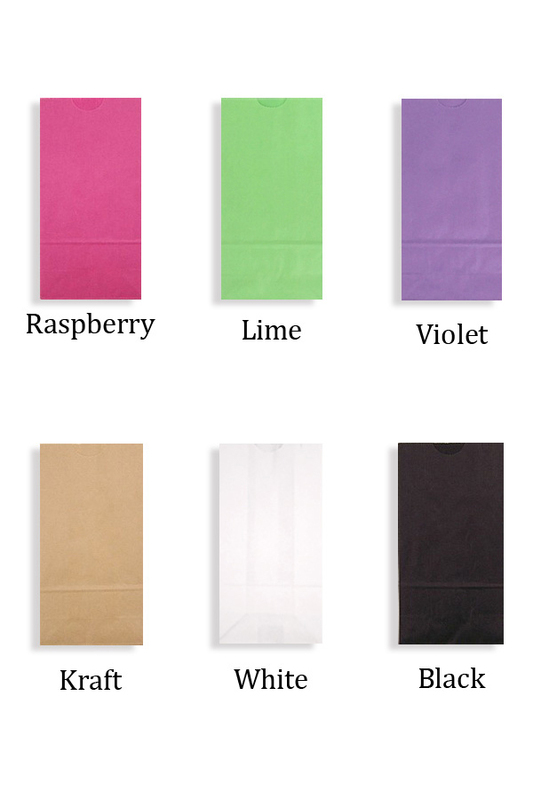 Each paper bag measures 4 inches wide by 8 inches tall and is great for filling with treats and small party favors such as plastic rings and spiders, candy corn, chocolates, popcorn, and more. Personalize with a spooky Halloween design and up to three lines of text.